The Chaco Armistice Day in Paraguay falls on June 12 each year and commemorates the end of the Chaco War in which Paraguay prevailed. People celebrate by remembering and honoring those who fought and died as well as to celebrate their victory. Chaco Armistice Day is a national holiday in Paraguay with government and business offices closed. 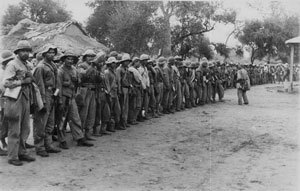 On June 12, 1935 the ceasefire agreement between Bolivia and Paraguay was signed and later in July of 1938 the Chaco Treaty in which Paraguay was awarded three quarters of the Northern Chaco territory. Many lives were lost over the fighting for this territory.